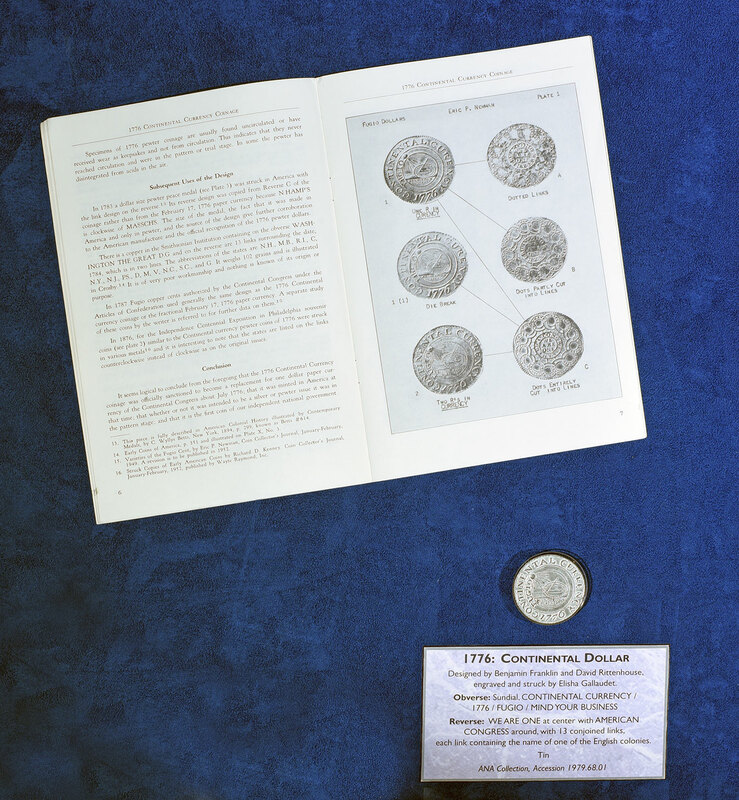 As the founding fathers met in Philadelphia to discuss independence for the colonies, their thoughts turned to the creation of a new coinage, a traditional symbol of national independence. In anticipation of a loan of silver bullion from France, Elisha Gallaudet of New Jersey prepared dies to strike the new coins. 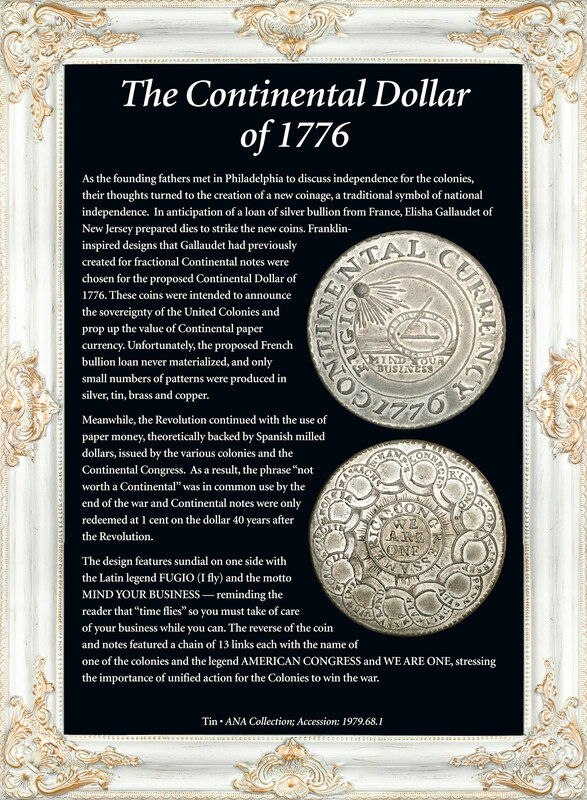 Franklin-inspired designs that Gallaudet had previously created for fractional Continental notes were chosen for the proposed Continental Dollar of 1776. 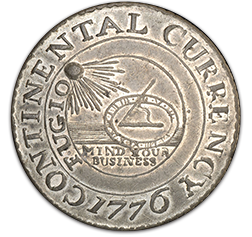 These coins were intended to announce the sovereignty of the United Colonies and to prop up the value of Continental paper currency. Unfortunately, the proposed French bullion loan never materialized, and only small numbers of patterns were produced in silver, tin, brass and copper. 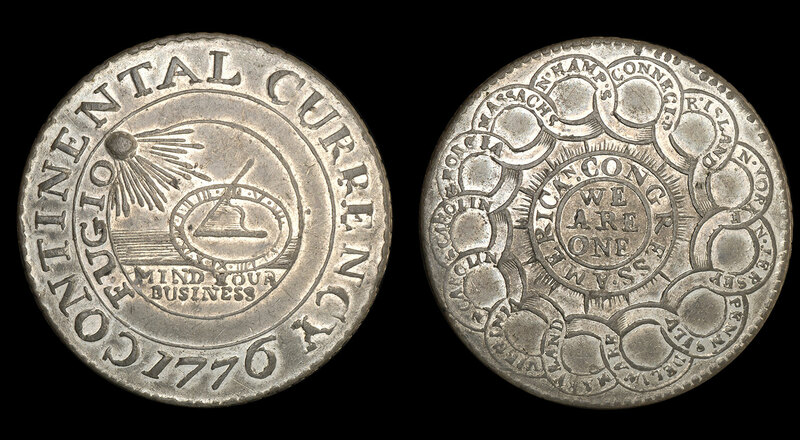 Meanwhile, the Revolution continued with the use of paper money, theoretically backed by Spanish milled dollars, issued by the various colonies and the Continental Congress. 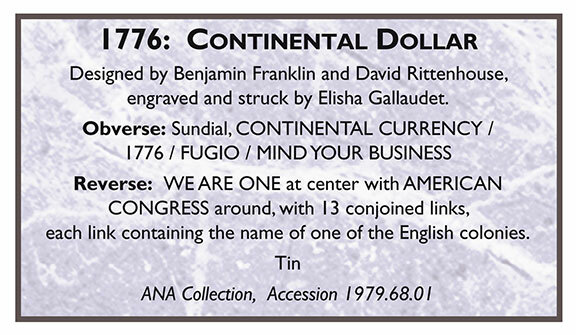 As a result, the phrase “not worth a Continental” was in common use by the end of the war and Continental notes were only redeemed at 1 cent on the dollar 40 years after the Revolution. The design features sundial on one side with the Latin legend FUGIO (I fly) and the motto MIND YOUR BUSINESS –reminding the reader that ‘time flies’ so you must take of care of your business while you can. 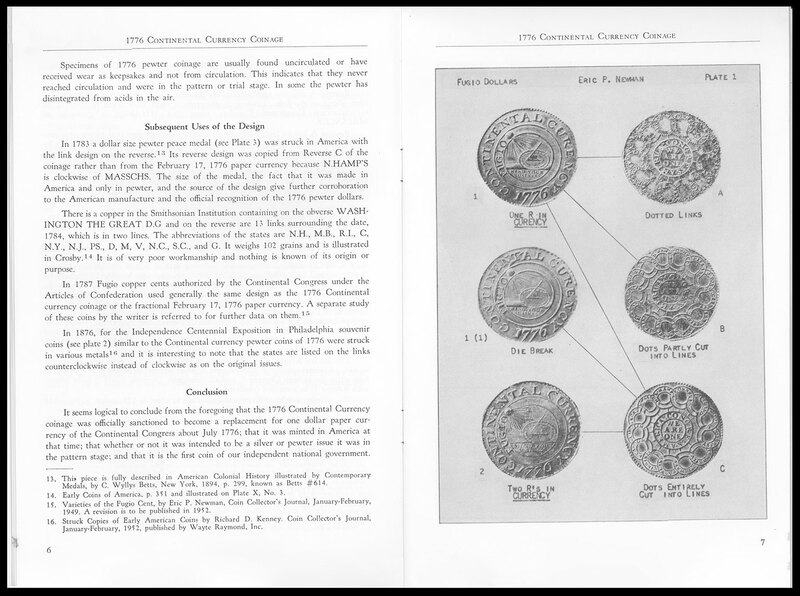 The reverse of the coin and notes featured a chain of 13 links each with the name of one of the colonies and the legend AMERICAN CONGRESS and WE ARE ONE stressing the importance of unified action for the colonies to win the war.